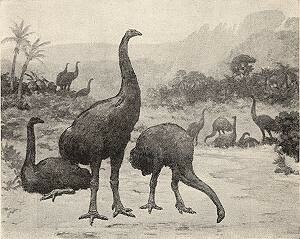 Elephant birds were believed to be the largest flightless birds ever to have lived on Earth. They measured about 10-foot-tall, 1,000-pound which lived on the islands of Madagascar, off the eastern coast of Africa which later were extinct in 17th or 18th century. 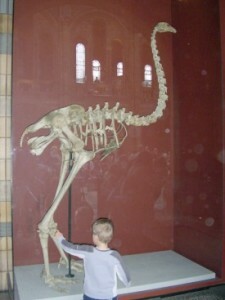 Despite its name its was nowhere neat to the size of a elephant but it could easily make a young elephant its pray, the largest of this species ever lived were 10 feet tall and weighed about half a ton, still enough for it to be the biggest bird ever to live on Earth. This Bird tend to evolve in self contained island environments restricting itself to Indian ocean island of Madagascar.They had a advantage with plenty of lush and tropical vegetation. 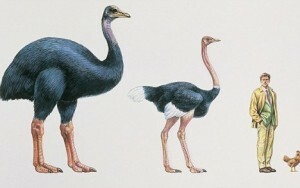 There are a dozen fossil eggs of Elephant bird around the world, one at the National Geographic Society in Washington, two at the Melbourne Museum , and a whopping seven at California’s Western Foundation of Vertebrate Zoology. 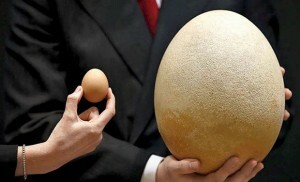 In 2013, an egg in private hands was sold by Christie’s for a whopping $100,000. Its believed that most of the Elephant Birds were tree-dwelling lemurs picking low-lying fruit, which grew in abundance in this tropical climate. 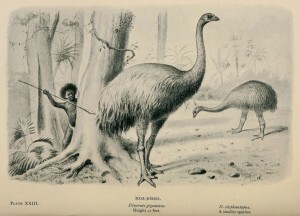 Its believe that human settlement was directly related to the Elephant Bird’s extinction in Madagascar, its been around 700 to 1,000 years they have extinct. What if Planet Earth lost all its oxygen for 5 Seconds – Ever Imagined ?